The motor sport community is in mourning following the news that Tom Walkinshaw has died after a battle with cancer. 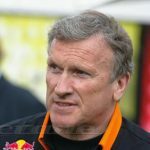 Walkinshaw ran the Benetton, Ligier and Arrows teams in Formula 1 although he is best known for his role in turning Benetton into a World Championship winning equipe, as well as securing the services of Michael Schumacher following his sparkling debut for Jordan at the Belgian Grand Prix in 1991. 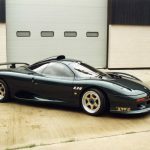 However, Walkinshaw’s name is also synonymous with his exploits as a driver and team owner in Touring cars and, latterly, for Jaguar at Le Mans. Walkinshaw may have won the Scottish Formula Ford title in 1969 but, instead of heading up the formulae, he moved across to Touring Cars, setting up TWR to run his cars. 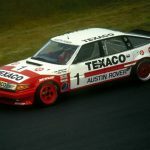 He ran the Rover SD1 in the BTCC and ETCC before moving to Jaguar, with whom he won the European title in 1984 with the XJ-S – the TWR Holdens were also a force to be reckoned with down under and Walkinshaw paved the way for the big-block V8’s arrival as a road car on the UK market. 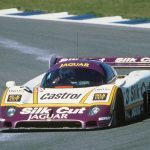 TWR was then commissioned by an emergent Jaguar to run a factory-backed effort in sportscar racing – and the cars went on to win the World Sportscar title three times as well as winning at Le Mans in 1988 and 1990. During the 1990s, Walkinshaw enticed Volvo into the BTCC with an estate version of the Volvo 850 and, although that car failed to rack up the victories, it was an amazing PR-winning machine. When the T5-R estate was supplanted by the saloon, it went on to win the Championship. 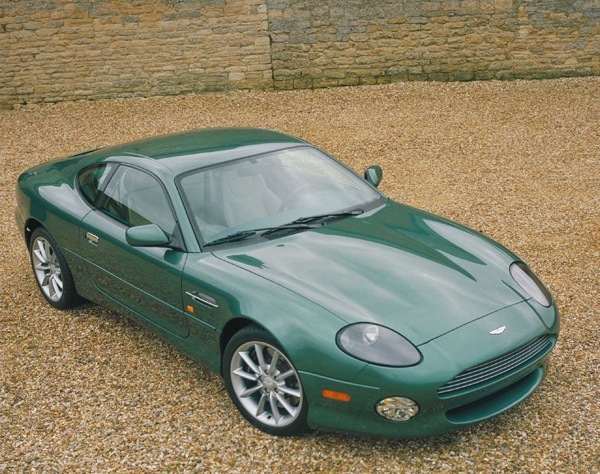 Arrows and TWR went into administration in 2002 and the road car development side of the company – which had assisted with the production of the Jaguar XJR-15, Aston Martin DB7 and Volvo C70 – went down, too, which led to all manner of problems at MG Rover as the company had commissioned TWR to work on its new mid-sized car. 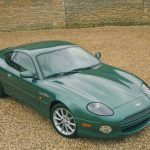 Walkinshaw will, though, always be remembered as the pugnacious Scot, who charged Jaguar back to the pinnacle of front-line motor sport. While he ruled the roost in F1 with the establishment-rattling Benetton Ford, my favourite memory of him will always be his argument with Roland Bruynseraede over the latter’s decision to black flag Michael Schumacher at the 1994 British Grand Prix. The German failed to come in for an initial five-second stop-and-go penalty and was given the black flag. Instead of coming in and retiring, Schumacher ignored the flags, later claiming he had not seen them. 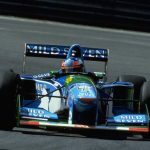 Walkinshaw continued to argue as Schumacher raced: ‘Honestly Roland, he didn’t see the flags,’ he argued and argued – in the end, the Belgian caved in, allowing Schumacher to continue the race to the end after serving a stop-and-go. A real shame and my condolences go to his family, friends and associates – one of those people behind the scenes who maybe didn’t get the recognition that his various talents deserved. A brave guy too, to be chucking an XJS around like that… Did I spy a 4 speed gearbox? Damn, I always liked Tom and particularly admired the fact that he was never afraid to tread a different path and seek out new challenges. I have recently been watching the 1985 and 1986 seasons of the Touring Car Championships on DVD. 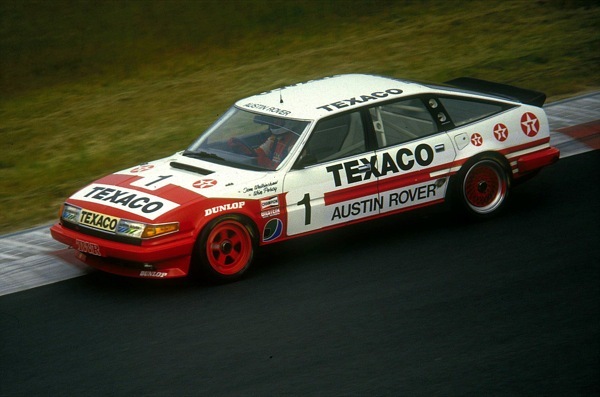 Despite the immense competition from teams such as Volvo and Holden and the SD1 Vitesses having a few reliability problems in some of the races, the TWR-led Austin Rover team came across as both very organised and determined to win. It was a joy to watch the Rovers battling away fearlessly against the likes of BMW and Volvo, providing some positive spin for the company and its products. Tom also proved himself to be an excellent driver who helped give this sporting Rover real credit both on and off the track. 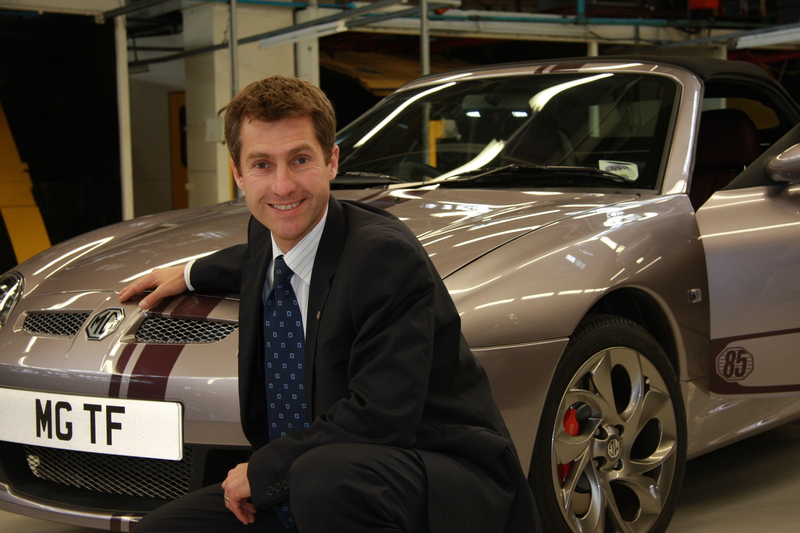 RIP, Tom, and thank you for all your efforts in campaigning what, in showroom form, became my all time favourite car, the Rover SD1 Vitesse. 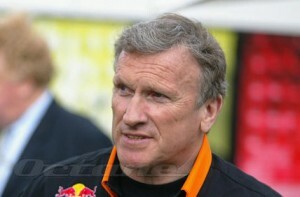 It’s sad to see yet another great character disappear from the motor sport world. Bland Walkinshaw was not. I remember one story about him – at one motor race he managed to catch hold of one journo who had written some disparaging things about him. He dangled said journo over the pit wall whilst “traffic” went by at great speed! We also shouldn’t forget his services to the game of Rugby Union and his involvement with Gloucester Rugby Club. Tom Walkinshaw may have been uncompromising – to the point of being ruthless – but he’ll be sadly missed. Rest in Peace, Tom. I remember the BTCC Volvos well. Didn’t the estates have a soft toy Labrador strapped in the back? Those estates brought yet more bonkersness to the psychotic world of Touring Car racing and proved, pretty convincingly, that Volvos could be sporty – that probably explains the Plod’s long-term love of fast Volvos! Those Volvo estates were fantastic. 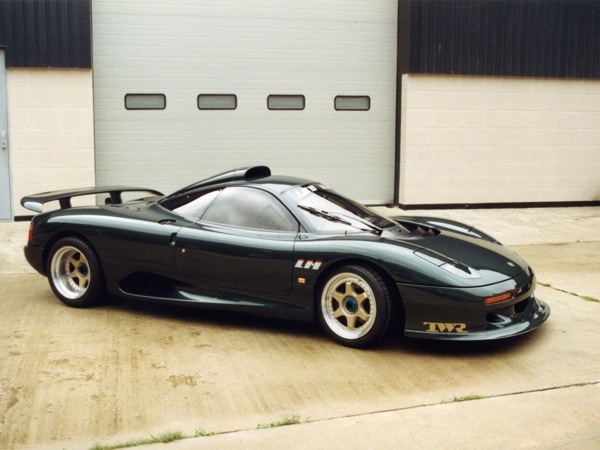 They captured the spirit of the mid-90s BTCC and, as I recall, it was only the 155 “standard” aero kit that brought about the standardised spoilers and the saloon body. Though the likes of the Civic hatchback run with the spoiler up near the top, I don’t see why an estate couldn’t be brought back as a tribute! It was one of Volvo’s turning points – from staid, boring, boxy estates and estate-derived saloons, into sporting executive drives – and, as pointed out earlier, various Police Forces took notice of their driving and cone-carrying abilities! 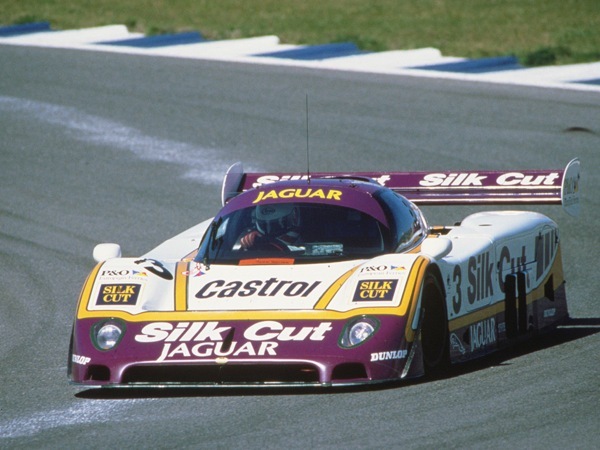 The “Silk Cut” Jaguar was legendary – I had a remote control model of it as a youngster. 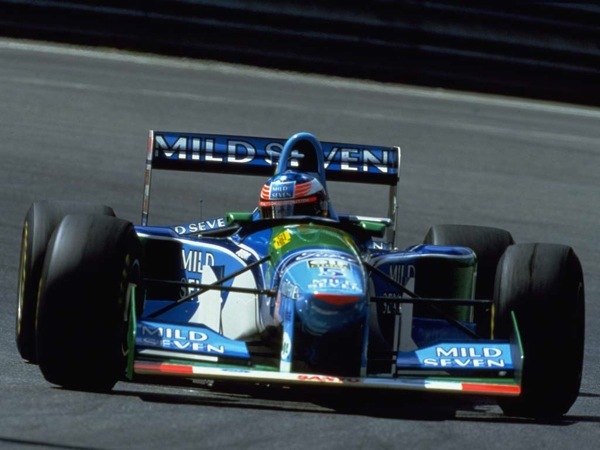 Walkinshaw was also, as mentioned, reponsible for signing Schumacher up to drive for Benetton. I didn’t always agree with the German’s methods but he did make a huge mark on the sport for better or worse! A fantastic tribute – just goes to show how influential TWR was – another great British maverick lost. RIP Tom.